Anyone who reads my blog on a regular basis (or as regularly as I post) will know that I'm a huge fan of testing out new skincare. 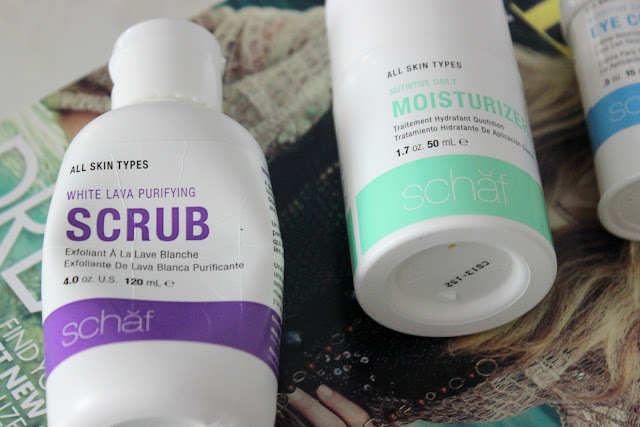 Before Christmas, I was sent some items from Schaf skincare. The brand is designed for both men and women, and for all skin types. It uses plan extracts to create a range of skincare that is clean, natural, and organic. It works to protect your skin without irritating it, to create a healthy, balanced complexion. All of the products provide oil-free moisturization, and are even great for sensitive skincare. The brand is also free of Paragons, Mineral Oil, Sulphates, GMO, Gluten and a whole bunch of other nasties. Ok, soon I've gone through what the brand is about, now I'll talk about my personal experience. I wasn't a fan of the moisturizer. I found it to be way too heavy for my super oily skin, even in the evening. That being said, I gave it to my mom and she is in love with it. She said that it leaves her skin feeling soft, plump and moist all day, without any tacky feeling. In her words, it absorbs very nicely and quickly, and she's already started recommending it to her other (drier) skinned friends. Dry skinned girls, this is definitely one to try. It's uphill from here, folks. 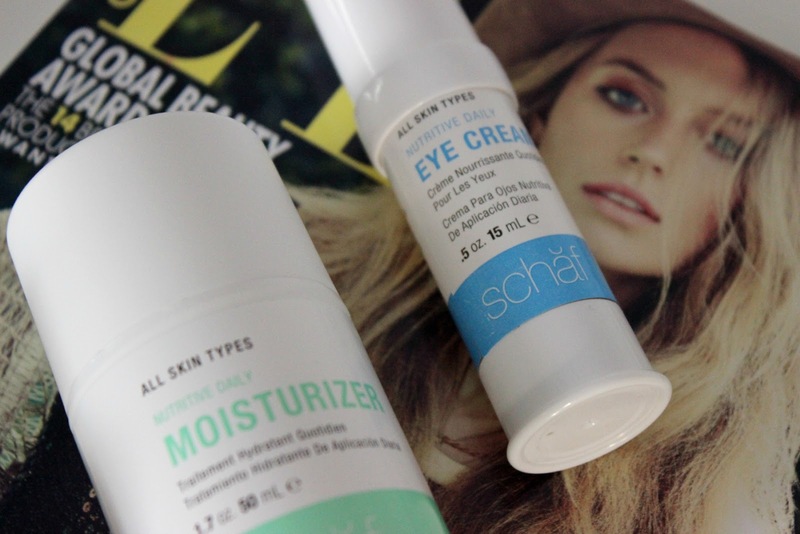 I really like the eye cream. I do find it a bit heavy to use in the morning, and found that my makeup didn't sit great over top of it. But I've been loving it in the evenings. It's very moisturizing, and again, doesn't have a tacky feeling. I wear an eye mask every night, and my eyes also water a ton in the evening. I find that because this penetrates so deeply, it really helps keep that area soft and moist. I wake up in the morning, and it's still incredibly soft. Overall, this is a win. The scrub is my absolutely favourite. I had it sitting in my drawer for weeks before I remembered to try it, but once I did I was hooked. I'd have to honestly say this is my new favourite exfoliant (it beat my previous favourite Ren one--I know!). After I used it for the first time, I seen (and felt) instant results. I've been using a harsher acne-treatment, and I've been getting a lot of dry patches because of it. This scrub works amazingly at getting rid of any flakes, without actually drying out my skin. My skin somehow feels moisturized and firm after I use it. It's like magic. I will worn you it does have a bit of a . . . woody-like smell to it, but it's very subtle and doesn't linger. 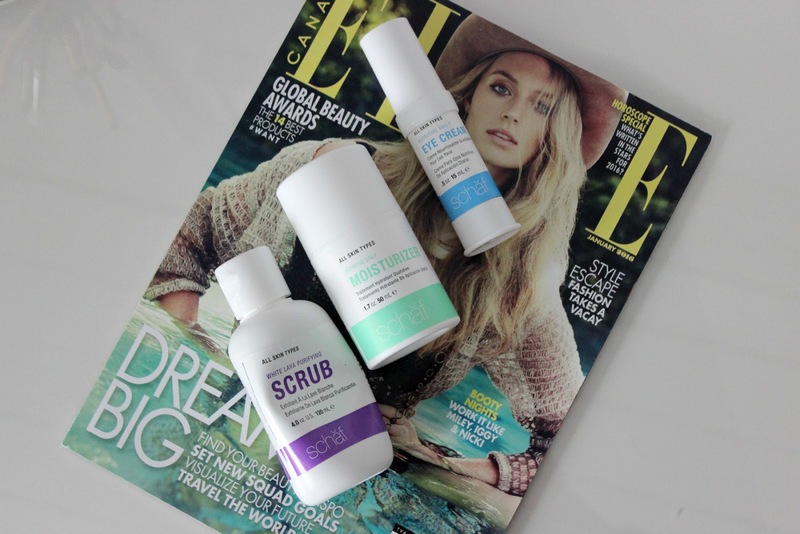 Overall, I'm incredibly happy with these products, and I would highly recommend them, especially the scrub. Seriously, go online and order the damn scrub. You will not be disappointed.